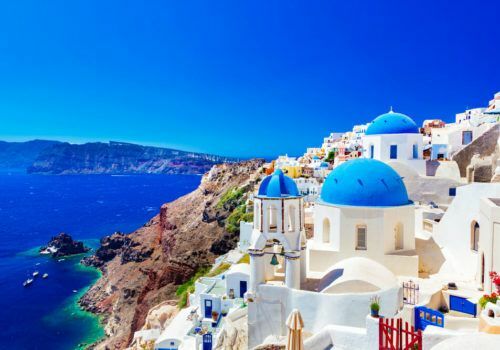 The itinerary takes you to Athens and Santorini. 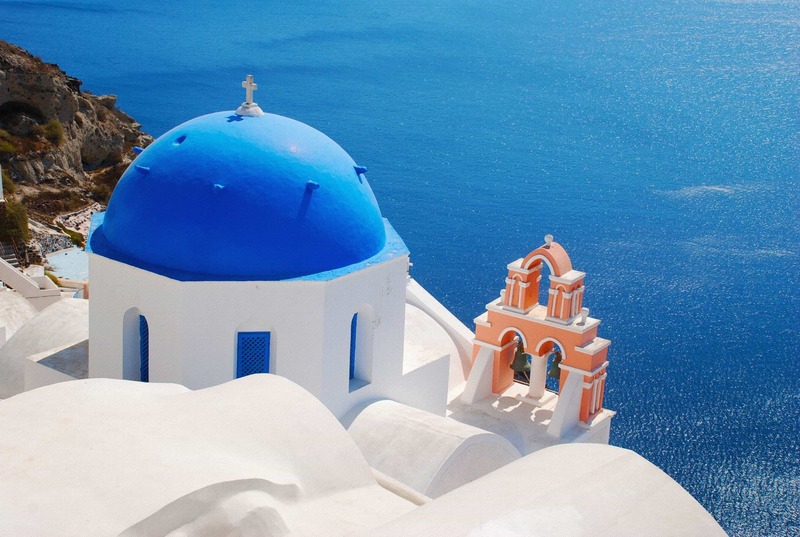 You’ll explore both historical Greece and relax in the stunning Greek Island of Santorini. Visiting the highlights of Ancient Greece, you’ll spend time in the heart of Athens before heading by boat to explore and unwind in the islands. In the islands, you’ll have three nights in gorgeous Santorini where you’ll enjoy its history alongside its incredible sunset views. This is a Greek Island holiday to remember combining a city break with a luxury holiday to Santorini. Upon arrival into Athens Airport, you’ll be met by your OutOfOffice.com representative who will assist in your private transfer to your hotel. After breakfast at your hotel, you’ll join a group and an English speaking guide who will take you on a tour of the highlights of Athens. Starting your visit to Panathinaikos Stadium, you’ll also explore the National Garden, Hadrian’s Arch, Greek Parliament and the tomb of the unknown soldier, and then visit the famous Acropolis, undoubtedly the crowning of the beauty and glory of Ancient Athens. 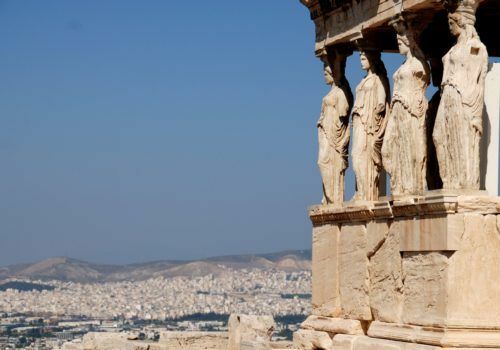 Its many monuments include The Propylea, the temple Of Athena, Nike and the Erechtheion, with its Porch of Maidens. 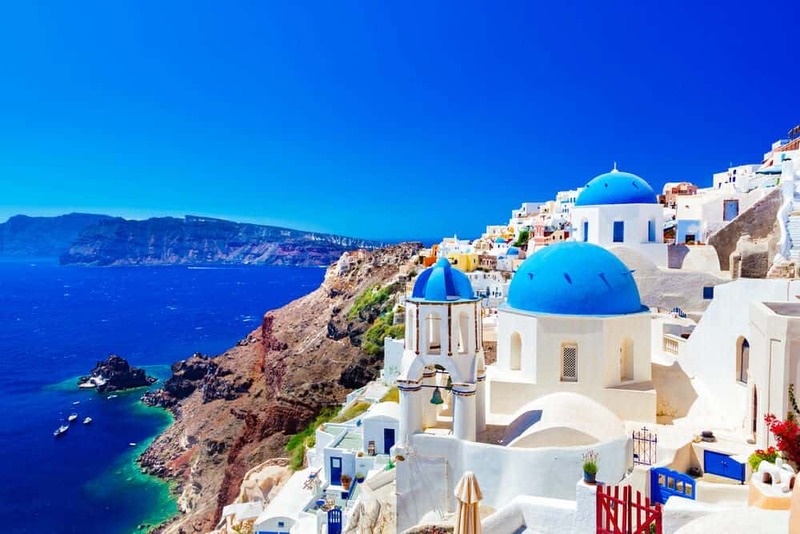 After breakfast, you’ll check out from your Athens hotel and head to the port to take the ferry to Santorini. 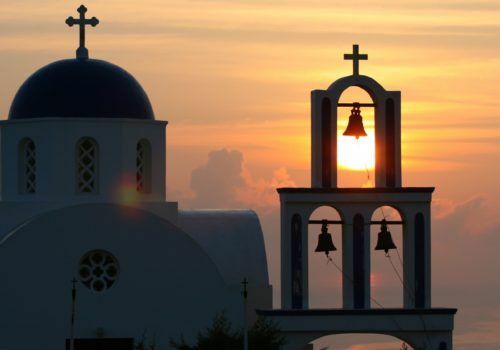 Arrival in Santorini where you’ll be transferred and check-in at your chosen hotel. 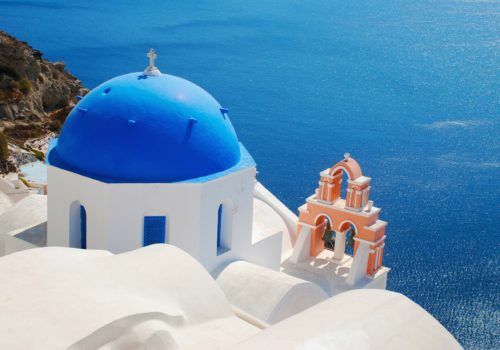 Today you’ll tour the beautiful island of Santorini. Visit the Akrotiri Archaeological Site and witness the excavations with your guide. Stop at the Red Beach before enjoying free time at Perivolos Beach where you can have lunch or a swim before heading to Megalochori to explore the village. You’ll then head to Pyrgos village to explore the village and also visit Santo wines where you’ll enjoy tasting 3 local wines. We will take you by coach to Athinios Port where we embark in the traditional sailing boat heading for the famous volcano. Climbing up to the top of the crater you will learn the history of the area and explore the six craters. Next stop will be at the Hot Springs, where a cool mud bath is welcome after the hot volcano. 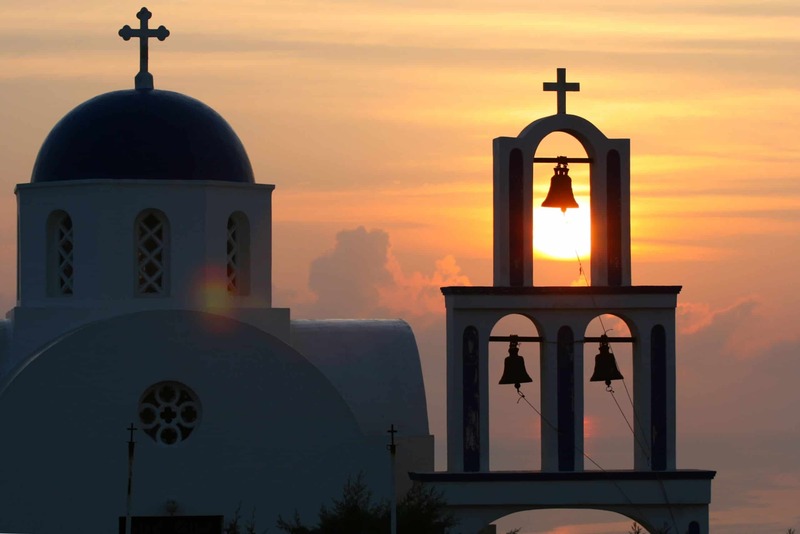 At Thirassia Island you’ll have the chance to explore for a while taking in the sights and sounds of the traditional village of Manolios and the Greek way of life. Your final stop is in the village of Oia where you will disembark at Ammoudi Bay, climb the steps up to Oia or take a donkey ride to the top. You are then free for approximately 3 hours to enjoy the beautiful sunset or have a drink in one of the cafeterias with stunning views of the Caldera cliff. The coach will then take you back after the sunset and return to your resort after an amazing day out. After breakfast, when you’re ready, we’ll take you to the airport for your onward flight.